2019 has been a fruitful one for the foundation and we are excited to announce a new page for our community and donors on Instagram. 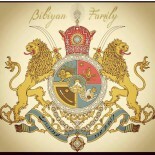 Simply visit http://instagram.com/bibiyanfamily to stay abreast with our updates! This entry was posted on March 24, 2019 by ohai in charity, updates and tagged bibiyan family philanthropy, blog, Philanthropy, tom bibiyan.